A quick update from the farm this past week, mainly photos. 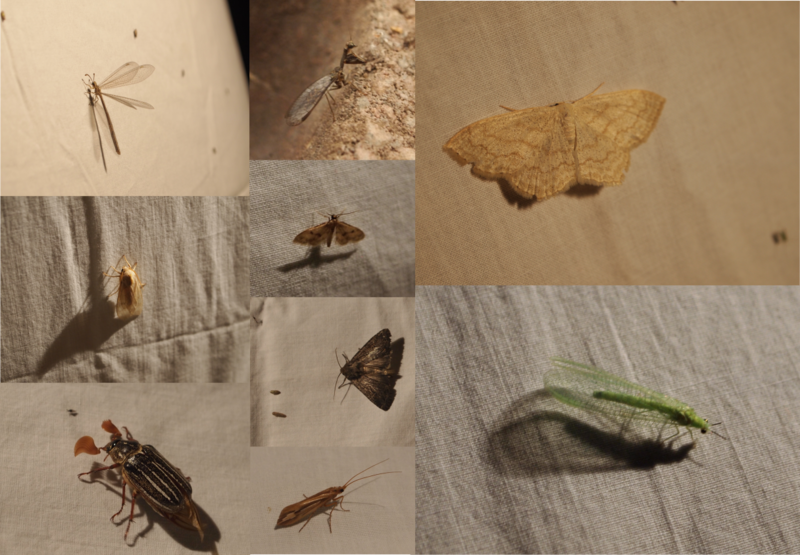 in which we geek out on bugs. again. Greetings farm friends! Scape season is upon us – hope you enjoy these wily, tender treats as much as we do. This week’s CSA newsletter is here, with a recipe for garlicky bok choy, a few other recipe ideas, and notes from the farm this week. We have just a couple additional quick notes, reminders for CSA members and farm stand patrons: when you bring home your vegetables, slip things into a plastic bag(s) before storing them in your fridge. This will help keep your green things, kale, scallions, etc. crispy-fresh-delicious longer, as refrigerators are notorious dehydrators. By re-using plastic bags, this also helps us in minimizing the amount of garbage we generate, which is important to us too. And secondly, lastly, we’ve started a Bike (and walk!) to Farmstand Lottery for a fresh baked pie at the end of the season. While biking or walking to the farm may not be reasonable for many (we understand! ), for those of you who do have this option, this lottery is a little incentive to leave the car parked at home. Some photos of June in the field and greenhouse: CW from top left: scallion successions, freshly de-bindweeded; kale and parsley intercropping; super pretty Vulcan lettuce; young Early Jersey Wakefield cabbage CW from top left: kohlrabi starting to size up; chamomile in the chicken yard; sugar snap peas setting fruits; kale. The greenhouse basil looks so tidy and the tomatoes are ready to be trellised. Much of our time these days is spent weeding, bindweed whispering. Before, during, and after with the onions: …as well as seeding new flats of successions and fall crops… … and coocheecooing our new little chicks. These bitty fluffy poofballs, now two weeks old, are getting their feathers on. We have a straight run, fifty each of Ameraucanas and Black Australorps to replace our aging layers. We ordered chicks this year from a local young gentleman rancher – headed into his senior year of high school – who raises several different breeds of chickens and ducks. It feels especially good to be localizing our inputs and connecting with and supporting other local, young agrarians. Jeremy’s distraction du jour has been last year’s parsnip row, the remnants of which have since gone to flower. Parsnips are a world class insectary, as it turns out. We’ve been finding wasps, bees, flies, spiders, beetles, butterflies, moths, ants, true bugs. 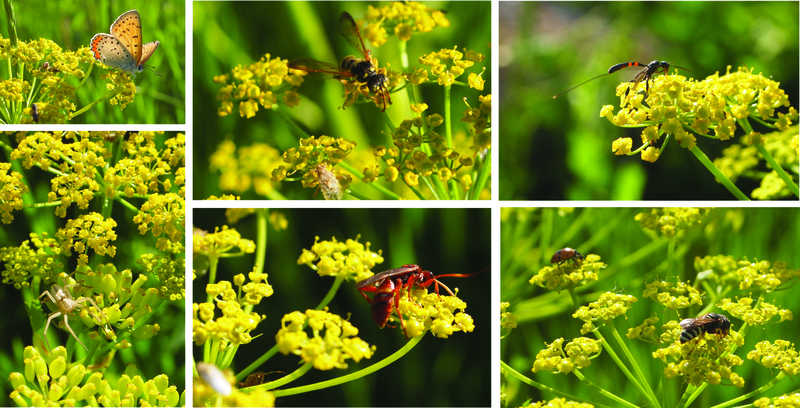 Pollinators and predators. Of all sorts. All over everything. No kidding. Encouraging diversity is a big part of our pest management plan. We practice crop rotation, and on our scale this works well for soil nutrient management, but even a slug can cross our farm in an afternoon. Instead we rely on natural predators to keep our pest populations in balance. Also, an advantage to our small size is that we can hand-pick pests, which we do primarily for potato and bean beetles. Other pest management techniques we use are companion planting, trap cropping, and adjusting our timing and planting practices to account for specific pest insects and their life cycles – we try to direct seed our arugula and radishes before flea beetles have emerged in the spring, and again mid-summer when the next generation is pupating. We also plan for some loss by over-planting what we think we’ll need for market. And lastly, taking a cue from our friend Eliza’s #eatuglyapples campaign, we celebrate the stress – within reason – that insects impose on our field; stress that helps in eliminating the weaker, vulnerable plants, and leaves us with strong, delicious, and likely more nutritious produce for our customers. Over the past few years, Jeremy has been seeding flowers (deep rooted plants, legumes, medicinal herbs, wild flowers) seemingly everywhere, this has successively become evident in the orchard and along the borders of the vegetable fields, all around the house and down the driveway. This spring we are finding columbine, dame’s rocket, bee’s friend, bachelor’s buttons, borage, coneflowers, sunflowers and salsify. Clumps of chamomile are coming up in the chicken yard (dunno. must have come in with some batch of feed?). Phacelia under the crab apple. Woolly verbena and white campion in the orchard. Dame’s rocket over the lamb skulls. Bees are stoked. Farmers too. We just celebrated our first CSA harvest of the season today. 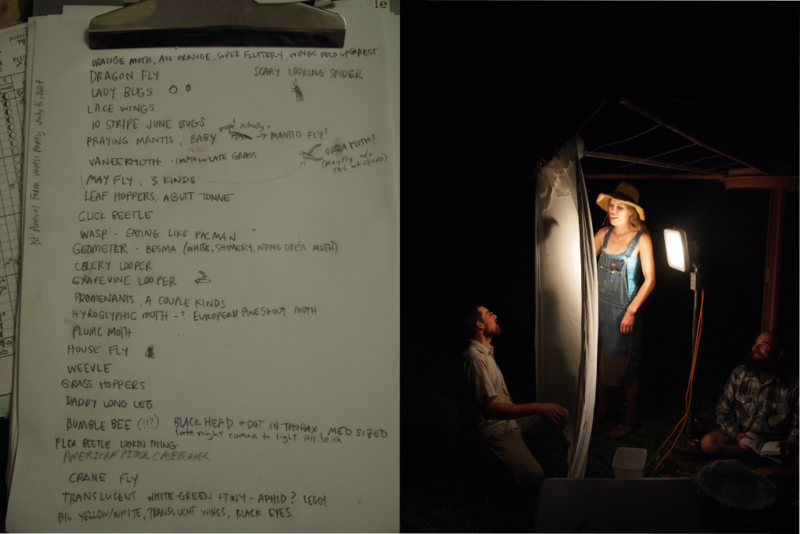 It was a sunrise sauna in the field this morning, our thermometer reaching 95 degrees by the early afternoon. For CSA members: the weekly newsletters will be posted online here, this week’s is here. And don’t forget to peruse our farm community cookbook for additional ideas and inspiration. Thanks for joining us this season – we’re looking forward to spending the summer with you all! We’ve been learning heaps these past couple months about early greens production, rapidfire succession planting, and how to manage all this early harvest and marketing along with our already brimming spring planting schedule. There are still some wrinkles to work out with timing. Last week we pulled out a rye and vetch cover crop that we had seeded last fall between the garlic beds. We laid the cover crop down in-place as mulch and immediately seeded winter squash into those beds. In about a month, we’ll harvest the garlic, right as the squash needs space to expand. If we get our act together, we’ll seed buckwheat in the open garlic beds hoping it will winter-kill before going to seed. As part of our no-till management, we use straw bales as mulch for most of our beds, but we’re excited about growing our mulch on-site. And in doing so, feeding our soil microbiology for more of the year and reducing an off-farm input by not having to purchase as many straw bales. We just learned about crab (flower) spiders. We’ve seen these around previously, but after witnessing lunchtime featuring a main course of one of our beloved pollinators, we had to look this up. This spider perches on flowers like she’s sunning herself on a beach towel, her front crabby legs wide open in some sort of ultra-still warrior pose. When an unsuspecting native bee/honey bee/butterfly comes by the flower to sip nectar, the spider, ninja-style, seizes the bee or fly and bites into it, paralyzes it and then eats it. *wince* YET. Healthy apex-predator populations are indicative of a healthy ecosystem. They play a vital role. Like bears and wolves and purple sea stars. So we love this little guy. Even though she’s eating our bees… and it feels a little like having an orca on our penguin farm. Speaking of which… we were getting anxious, noticing aphids on a few of our fruit trees. But then looking down at the understory, below our plums, we found a glorious nursery of ruthless, voracious lady bug larvae. Anxieties quelled.